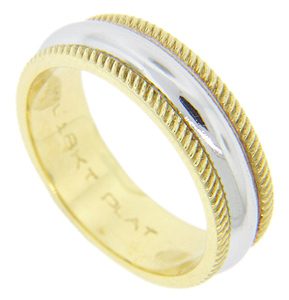 Diagonal striations decorate the 18K yellow gold edges of this antique style wedding band. The polished center strip is crafted of platinum. The ring measures 5.9mm in width. Size: 7 3/4. Cannot be resized.